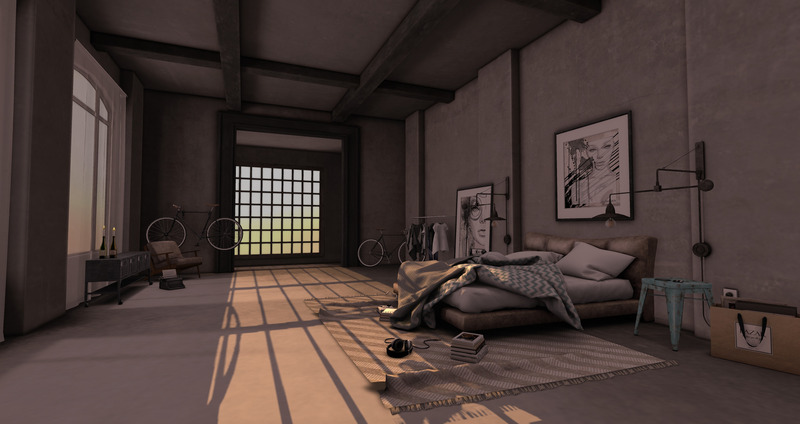 6th Republic is opening up today, and Bazar has a whole new bedroom set for you lovelies! This whole set by Bazar is absolutely amazing. Ria really NAILED the Stockholm look and feel. Right down to the bicycles! In this set, you’ll find a TON of items to decorate with (All decor in this photo, is from that set), including both Female and Male clothing racks! Yes, you heard me right! Bazar now has a clothing rack decor for all you dudes out there! On of my favorite pieces in this set, is that adorable little flip clock on the night stand, and the shopping bag that says Bazar! Previous Previous post: Red Alert.